This is the Western Robotics Hercules Super BEC. The Hercules Super Battery Eliminator Circuit is the first to be capable of handling high voltages of 58V and is made of high quality components that can withstand outstanding high current loads of 10 Amps continuous. The Hercules Super Battery Eliminator Circuit is a glitch free high efficiency, high power switching voltage regulator designed to work with all popular brands of 2.4 Ghz R/C receivers and servos. 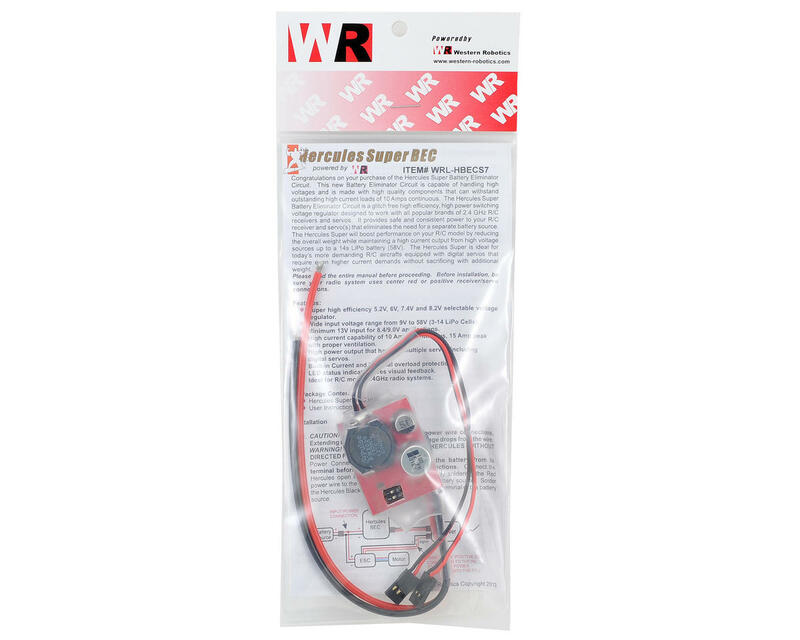 It provides safe and consistent power to your R/C receiver and servo(s) that eliminates the need for a separate battery source. 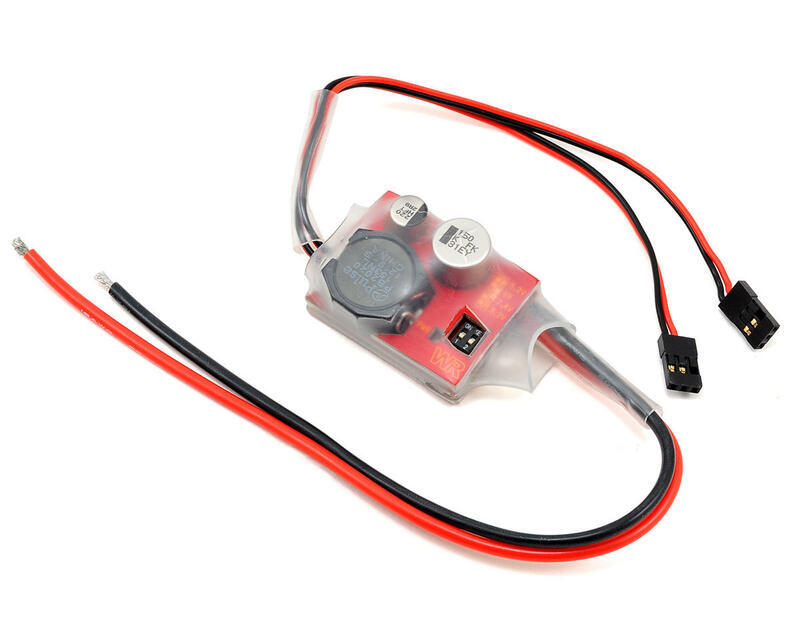 The Hercules Super BEC will boost performance on your R/C model by reducing overall weight while maintaining a high current output from high voltage sources up to a 14s LiPo battery (58V). The Hercules Super BEC is ideal for today's more demanding R/C models equipped with digital servos that require even higher current demands without sacrificing with additional weight. Super high efficiency 5.2V, 6V, 7.4V and 8.2V selectable voltage regulator. Wide input voltage range from 9V to 58V (3-14 LiPo Cells). Mininum 13V input for 8.4/9.0V applications. High current capability of 10 Amps continuous 15A peak with proper ventilation. High power output that handles multiple servos including digital servos. Built in Current and Thermal overload protection. Ideal for R/C model 2.4GHz radio systems.